Since taking over in Ann Arbor, Jim Harbaugh and his coaching staff have made it a priority to recruit Georgia. 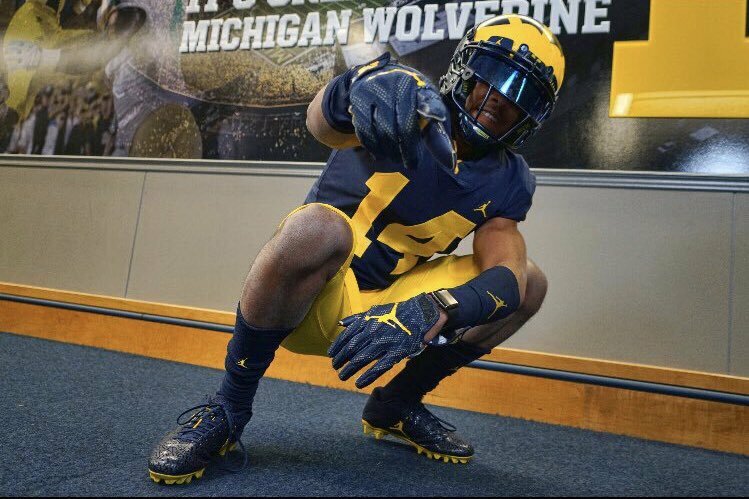 After landing several players out of the Peach State in his first three classes and three already in 2019, Michigan has added another top target out of the Peach State to the list as North Gwinnett (GA) DB DJ Turner II has committed to the Wolverines. Turner is a versatile defensive back with a nose for the football. He flashes his athleticism and ball-hawking ability at both the corner position and free safety position in high school. He looks most likely to end up playing at corner in college and has the ceiling to be a star. While he may not be the highest rated corner in this class, there’s a reason why the top programs in the country extended offers to him. With some time in the weight room and with the coaches, he’s a guy I see starting during his collegiate career. Though there wasn’t a ton of noise about him and Michigan for a good portion of his recruitment, he’s been a name to know on the recruiting trail. He was offered by Michigan back in January of 2017. But that was far from his only big offer as the likes of Alabama, Clemson, Michigan State, Georgia, Florida and Florida State threw their hats in the ring. While he may not have sat atop the cornerback board for all of the teams he held an offer from, Michigan was a program that liked what he could bring to their defense. After unofficially visiting Ann Arbor in March, it was the Wolverines that took control of his Crystal Ball predictions. He didn’t make a quick decision after that visit, instead waiting to take his official visits before he made a decision. After taking trips to Gainesville, South Bend and Ann Arbor, there was nothing that the other teams could show him to sway him away from the maize and blue. Turner committed to Michigan just days after his June 22nd official visit, becoming yet another nice addition out of the Peach State for Jim Harbaugh and Chris Partridge. Turner is the 15th overall commitment, the first cornerback commitment, and the fourth commit out of Georgia. He’s also the fifth commitment out of the mega June recruiting weekend with more coming sooner rather than later. Names to watch moving forward include ATH George Johnson III, S Quinten Johnson, RB Eric Gray, DE/OLB Aeneas DiCosmo and DE David Ojabo. As for the cornerback position, the staff looks like it’ll push for elite CB Akeem Dent, who happens to be cousins with freshmen QB Joe Milton. Besides that, the staff will likely target more safety prospects for the secondary, including S Quinten Johnson, S Daxton Hill, S Lewis Cine and S Josh Sanguinetti.